Fort Makers x Visual Magnetics: "Rockland BBQ"
Magnetic wallpaper company, Visual Magnetics, has teamed up with multi-disciplinary design collective, Fort Makers, on a large-scale interactive sculpture installation, which will debut during Wanted Design Brooklyn on May 17th at Industry City, and remain on view until the May 23rd. 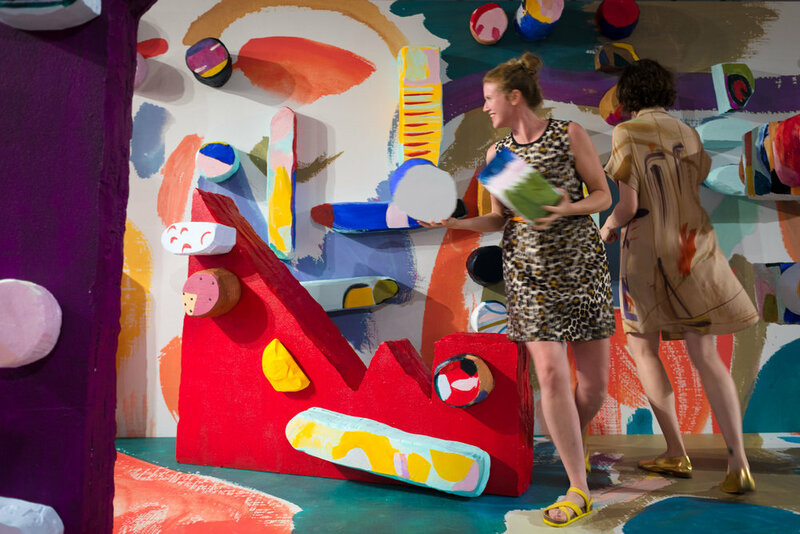 The inventive work, titled "Rockland BBQ", will invite visitors to step into a built environment resembling a stage, outfitted with custom printed magnetic textiles, and reconfigurable totem-like sculptures. Visual Magnetics’ InvisiLock technology has been used in the construction of the sculptural objects, which can move and travel through the playful magnetic landscape, imagined by Fort Makers. 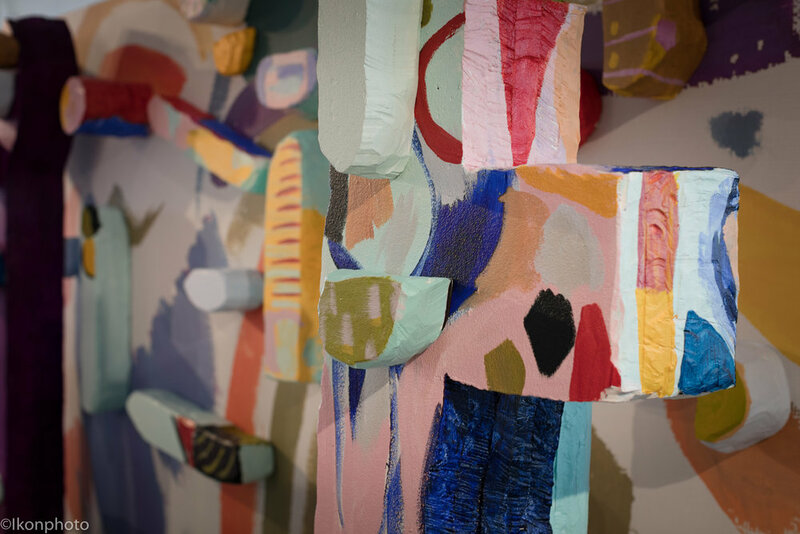 Inspired by artists that have designed stage sets, like Jean Dubuffet, David Hockney and Pablo Picasso, Naomi Clark of Fort Makers will sculpt and paint a collection of life-sized, polystyrene, magnetic sculptures. These colorful, totem-like sculptures will become characters on a magnetic stage. In addition to the large totem forms, Clark will also sculpt and paint smaller polystyrene sculptures that will be magnetically locked to the totem forms, the floor and the back wall. The lightweight polystyrene objects will be able to be moved around, and twist-locked into an endless amount of configurations, or compositions. Viewers of the installation will be encouraged to interact with the installation, by changing the composition and moving the sculptures.